«He who stops being better stops being good» is a central concept of Ringer i vann. We’re working to make day-care centers, kindergartens, schools and municipalities better. Quality improvement and quality through continuous improvement lies at the root of all our work. Another central concept is to learn from the best at home and abroad. We see more similarity than differences when compering with e.g. schools in other countries, and there is much to learn by benchmarking with other sectors. Ringer i vann have a number of good partners. The office in Oslo is operated only by Grete Helle and Tom Rune Fløgstad. However, we have a huge national and international network, including the winners of national and international quality awards, tied closely to the company. They often assists Ringer i vann in the implementation of change and development, courses and training, seminars, study tours and when Grete Helle and Tom Rune Fløgstad are writing literature aimed at schools and kindergartens. Grete Helle is a trained educator. She has been a culture and childhood head of Oslo, principal of Speditørskolen and administration officer of YS – a trade union. 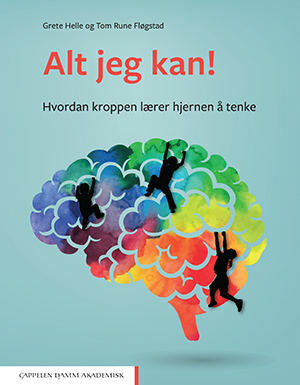 Grete has, together with Tom Rune Fløgstad, written 6 books – among these you can find «Quality and Methodology in school», «Luck or bad luck – Tools for hedging and developing of quality in day-care centers», «Holistic School Development – from kangaroo schools to learning organization» and «Holistic school development – learning strategies and development «. Tom Rune Fløgstad is a trained educator and marketer. He has a varied work experience including the HSE Manager of Oslo, culture and childhood head of Oslo, project manager / human resources manager of Barnehageforbundet/Kanvas, Senior Advisor / responsible for the public sector in the national quality association in Norway – Excellence Norway. He has been doing training in quality assurance and quality improvement of the public sector in a number of years and has represented Norway in international quality improvement forums. He has together with Grete Helle written several books for kindergarten and schools. Some of these books are used as course literature on the master’s program in educational leadership.